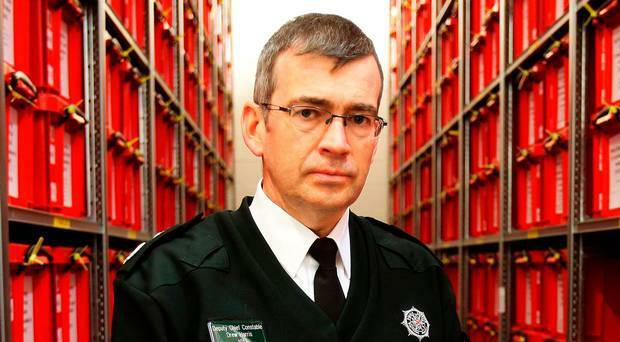 DREW HARRIS, the current Deputy Chief Constable of the PSNI, is to be the new Garda Commissioner. It means an 'outsider' will head up An Garda Síochána for the first time. He will replace Noirin O'Sullivan. Mr Harris, who is in his early 50s, is married with four children, and is a police officer with more than 30 years experience in the RUC and PSNI. His father, RUC Superintendent Alwyn Harris, was killed by the IRA in 1989. A Semtex bomb exploded under his car as he was on his way to church with his wife. She survived the blast. The salary of the Garda Commissioner was increased to €250,000 a year from €180,000 in order to attract interest in the position. Justice Minister Charlie Flanagan said he was pleased that the "rigorous selection process", which lasted 10 months, had come to a successful conclusion. "Drew takes up office at a time of major reform and investment which will redefine An Garda Síochána as an organisation. "As we approach the centenary of the establishment of An Garda Síochána, the organisation is on the cusp of significant change," he said. The expert Commission on the Future of Policing is in the final stages of its work and its report will chart a new model for Irish policing in the decades ahead. Mr Harris will take up the post of Commissioner in September. “I am confident that Drew Harris has the necessary ability and vital policing, security and change management experience required. "He will bring these talents to his leadership of An Garda Síochána - one of our most important institutions of state - along with a commitment to serving the public in the best tradition of the Gardaí," the minister said. On taking up the post, Mr. Harris will make a solemn declaration under section 16 of the Garda Síochána Act 2005 including to uphold the Constitution and the laws of the State on the day that his appointment takes effect. Acting Commissioner Ó Cualáin will continue to lead An Garda Síochána until then and has notified the Minister of his intention to retire at that time. Mr Flanagan said: “I want to acknowledge the leadership, integrity and commitment of Acting Commissioner Dónall Ó Cualáin. The Government is very grateful to him for his dedication to duty and effective leadership of the organisation since last September.